Oakridge International School, with just a decade of presence, become one of the best international schools in the country.The prestigious international school was started with a mission to build a community of leaders, over a foundation of shared beliefs, values and ethos. The program empowers students to gain an indigenous as well global perspective on various aspects. Within the broad based curriculum options offered, ample opportunities are provided to develop and assess the critical creative thinking skills, flexibility of approach, ability to work with and serve others, and the grit and fortitude in the face of challenges. With its world-class campuses in Hyderabad, Bengaluru, Visakhapatnam and Chandigarh – Oakridge is regarded as one of India’s top 10 international schools with its high standards of teaching methodology, technology collaboration, and global culture in every aspect of learning. 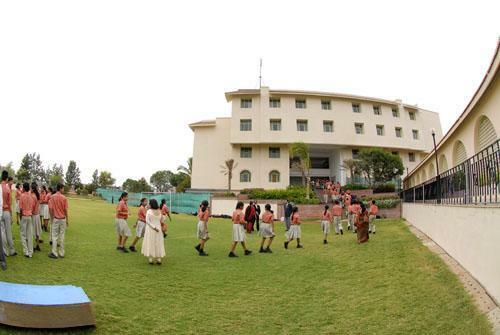 Oakridge has a Unique Integrated System of Learning using “inquiry” as a vehicle of learning, strategic developmental programs in association with reputed International Universities like Oxford & Columbia are conducted on-campus and ranked No.1 in the “India’s Best Places to Work 2016” in the education sector by Economic Times and is the home to the most amazingly dedicated and creative faculty. Extra-curricular activities, support the education programme of the institution to create the ultimate Oakridge product- strong confident individuals and active life-long learners.